After spending five seasons with Lille’s first team, Eden Hazard left the French club and moved to Chelsea in 2012. Since joining the Blues, he has won the league title on two occasions and has won the Europa League, FA Cup and League Cup once. Today’s edition of Sport has a short story talking about the Belgium international’s club career statistics. He’s played nearly 500 matches for Lille and Chelsea, scoring 139 goals and registering assists in the process. Hazard’s statistics, both in terms of goals scored and assists are impressive for a player from the individual point of view, but Sport claim the 27-year-old’s record at club level is not up to the mark for a player of his calibre. 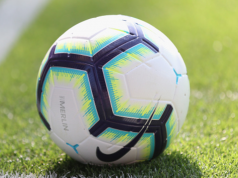 The report mentions the forward wants to seek a new challenge that will further improve his chances of winning domestic and continental competitions. Therefore, if he leaves Chelsea, he will only join a big European club in the summer transfer window. 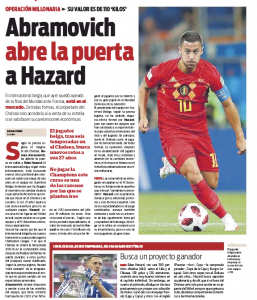 On Tuesday, we carried a report from Sport, who claimed that Hazard has emerged as a transfer target for Erenesto Valverde’s side. Real Madrid are also believed to be interested in the player to replace Cristiano Ronaldo, who left for the club for Juventus.